Have you ever tried 7inch(18cm) fried shrimp? 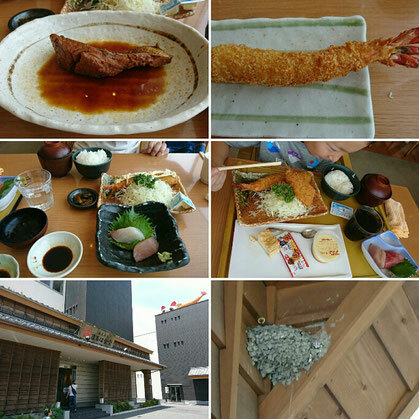 we enjoyed them at Maruha-shokudo near chubu international airport. They're delicious! There're some squab on the restaurant under roof. The restaurant are in central airport and Sakae.